I was at the local gun shop on Friday and they have a batch of German produced, no rail 229's in 9mm. They are wanting $749 plus tax, although I think I can talk them down to $700. New plain Jane 229's there are going for $939 plus tax. Legion RX's are going for $1,399. I know I will have to throw a couple of hundred dollars into rehabbing the used gun if I purchased one. From what I could see of the rails on the 3 I handled (but did not field strip), the rails had a couple of shiny spots on them, but nothing I would consider excessive. I want a project gun and one of these could possibly fit that want. I am nearing completion of rehabbing a P6 I have been sitting on for years (it will probably be done tomorrow) and have thoroughly enjoyed doing it. So, what say all of you? For that price and with the lineage and features I described, it $750 at worst or $700 at best worth it? I do not usually purchase used guns, so I am not sure if this is a solid price, a deal or if I am overpaying. If you have an opinion, please let me know. Your shop is pricing way too high. 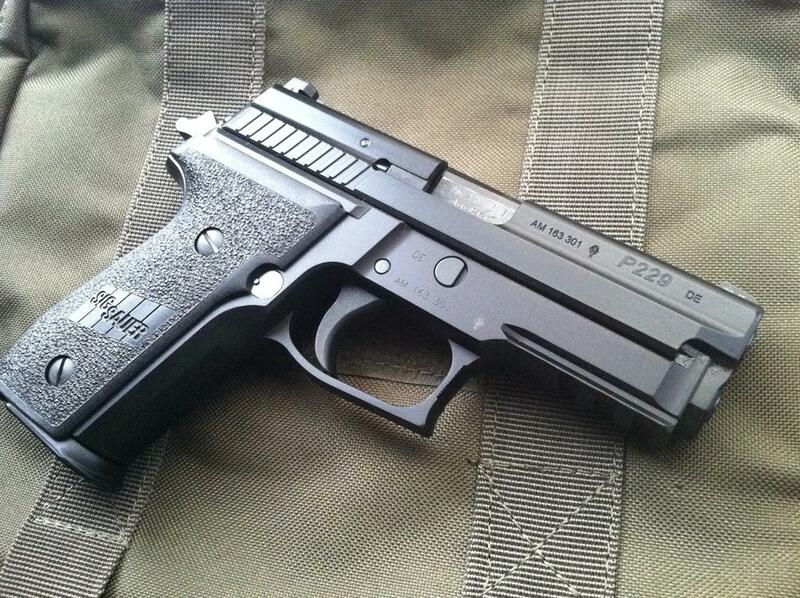 You can get a basic, plain-jane P229 brand new for as low as $750 online. I wouldn’t spend more than $500 for a police trade-in of any type. That's without even looking hard. Overpriced for a German made, no rail "classic looking" 229? Glad I asked. I was going to purchase on the spot and thought to myself, I would be stupid not to ask the brain trust at SF first. Thanks. I will start looking online and in the classifieds here. Only problem is, if I purchase online, the cheapest FFL transfer around me is $50+. 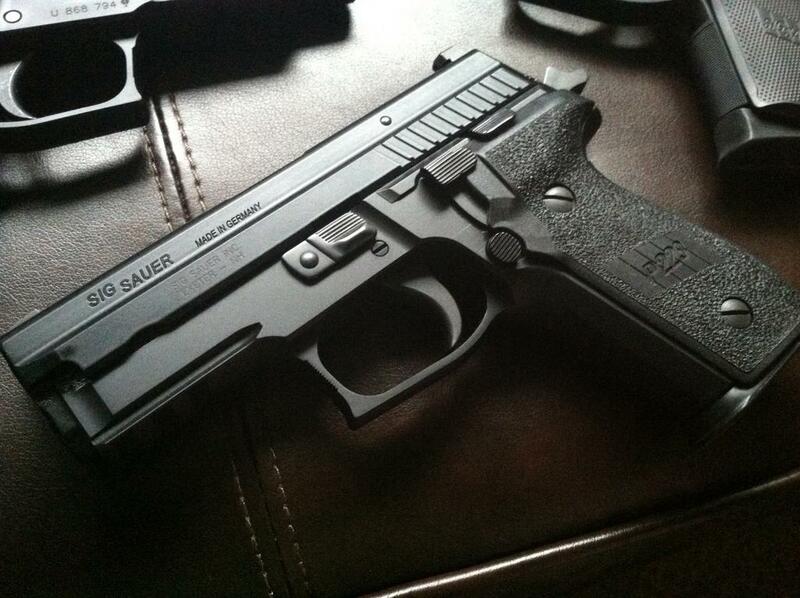 I can 99.99999% guarantee you that the only thing German about these P229s is the frame. Everything else is US made. And the guns were assembled in SIG NH. So, they are not German made/produced. 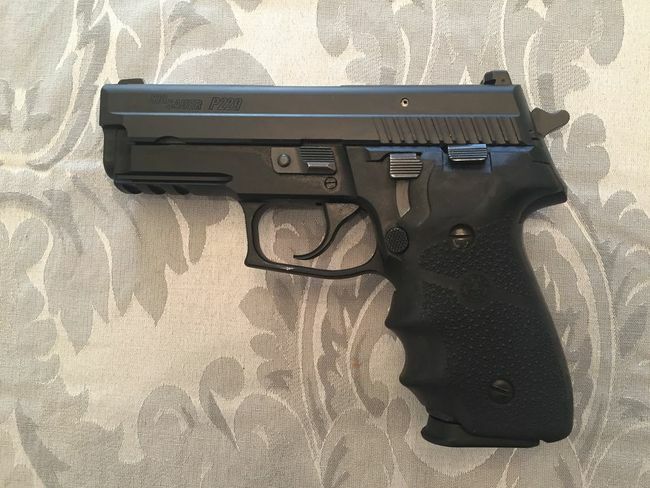 I just looked on Armslist; there's a P229R 9mm in Columbus w/ asking price of $600. Used 229s in OH seem to be trading for considerably more than in my area. In TX, recently I've seen lightly used P229-1s selling in the low-to-mid $500 range. It's kind of depressing, b/c that's the about same ppl are paying for a used G19 Gen5 w/ nightsights. You are correct. The frame indicated Made in Germany. On the slide it stated SIGARMS. There was no "Made In" on the slide that I saw. As I said, other than the P6 I purchased years ago, all of my Sigs were purchased new from the gun store (12 in total not including the P6). After purchasing, I would shoot a box of ammo through them and then send them off to Bruce Gray for trigger and action work. I have no experience with used Sigs. I would like something used for a good price that I could tinker with and make into a sweat shooter. I want to use this gun to become competent at full disassembly, reassembly, and doing some light action and trigger work. I do not have a 229 in my collection, that is why I am looking for one. I know now that the gun store is overpriced on their used pistols. With transfer fees in the area, they are not bad on new guns. If any of you want to sell a 229 without a rail, I would like to seriously talk. I will also look to post a WTB in the classifieds and start looking on the various gun boards. I just bought a P229 police trade in in 357 Sig for $421 from Aim Surplus. You just have to look harder. $50 transfer fee to go along with higher priced used Sigs around Central Ohio. Making me re-think returning back home and buying my parents place. Transfers here go from about 15 to 30 bucks. The 9mm 229's are a bit more sought after than the 357 and 40 guns and as such tend to command a premium. Those shop prices and transfer fees sound jacked. I would buy one in good condition but not at anywhere near that price. From what you quoted as local prices, I would buy the new one, or a used one at a much better price. That's pretty high for a transfer fee. Not exactly sure where in Central Ohio you are, but, you should be able to do a lot better than that given the amount of FFLs in Ohio. Heck, if you ever come towards Dayton, there is a store that does them for $5. And if that doesn't work, I'd even be wiling to help a member out with a free transfer just so you don't have to pay $50 bucks. That's outrageous for a 4473 and NICS check in Ohio. And yea, like everyone has said, that is high for a police trade in. Xanth... Thanks. My brother lives in Troy, so I could make it down there if I find the right gun. I like the used 229 you have, but it has a rail and is too nice for me to do with it what I want (I think). Cherokee2u... I like yours as well, but I was looking for a no-rail frame. I will keep yours in mind though. I may come back to this one. I did not know legacy 229 and new ones had different mag capacities? Are magazines for the 228's and legacy 229's still plentiful (Mec-Gar)? My old go-to place for transfers was $10 and the guy who owned it, although a bit eccentric, was a good guy. He recently went out of business. Everyone who is close to me is $50. There are many others that seem shady to me or there is very little info about. Most look like garage FFL's. I don't have an issue with that, but have never dealt directly with one. All of the bigger fellas in town are $50 (except Cabela's... I hate that place and they are way out of my way). All of the places I frequent with storefronts are $50. So yeah, you can transfer for as low as $20, but I do not know these FFL's. Thanks guys, you really are helping with this. Velocity Works is like a mile from my house. I do all my transfers through them because it's priced low enough, it's close, and I don't have to drive to a sketchy neighborhood. Gun Envy charges $20 for inbound Title 1 transfers, it's further away and in a neighborhood I'd rather avoid. As others stated that price is WAY TOO HIGH. If you are looking to buy a rail-less (there is no other IMHO) 9MM Sig to tinker with, I'd suggest a West German P228 or P226. 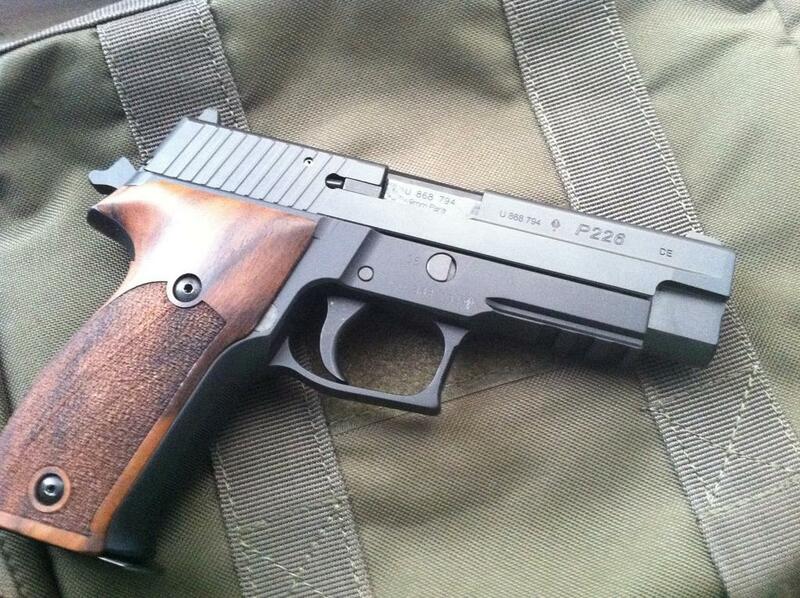 There is nothing special about a P229 other than it was developed to run 40cal and 357sig. Wanting the 229 because I have a lot of other Sigs, but not the 229. I thought I had 2 more, but forgot I dumped an early version of the 238 that went back to Sig 2 times and was never right. Also, I had purchased and dumped an early 224 that I forgot about. I think I want a non-railed 229. Maybe 1 with and 1 without? Not sure yet. With that said I did used to have a German 229R that was a triple serial gun with German proofs that was imported around 2010. It looks like the slide and parts were indeed made here then shipped to Germany where they were assembled and shipped back. Weird I know. I also had a stainless slide 226R from the same time frame with simaolr origin and proofs.